Austrian post-black metallers Harakiri For The Sky are premiering their new song Fire, Walk With Me exclusively with Metal Hammer. The track is taken from the band’s upcoming fourth album Arson, due to be released February 16 via AOP Records. Speaking to Metal Hammer about Fire, Walk With Me, vocalist J.J. says the song is “all about farewell, estrangement and leaving. The band are playing a special album release show at Szene Wien in Vienna, followed by a mainland European tour in March. Arson is available to pre-order now. 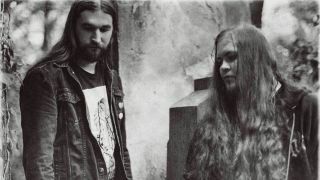 Harakiri For The Sky: “We all end up dead, so why not deal with it?"